ONE OF A KIND! 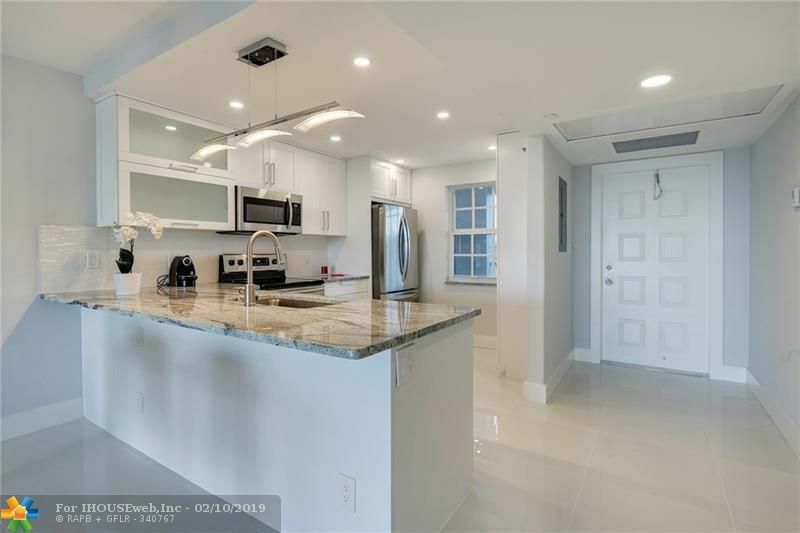 KING Model 2-Bedroom, 2-Bath totally renovated condo for sale on Oaks Way. Large white porcelain tile throughout, including bedrooms and patio. Impact windows, storm shutters. Master bedroom has access to L-shape patio overlooking Oaks golf course and lake. OPEN KITCHEN with white contemporary look cabinets, granite counter top, stainless steel appliances and extra pantry. New electrical panel, full size washer and dryer inside unit. PALM-AIRE Country Club is a golf community with easy access to I-95 and Florida turnpike, close to Isle Casino, Pompano Race track, shopping, hospitals and minutes to the beach. All ages are welcome at Palm-Aire. Condo Association requires 10% minimum down payment. SCHEDULE YOUR SHOWING TODAY!